The Ludwigshafen Experience allows further insight into the artistic inner life of Jone's superb and uncommonly vital orchestra. The team consisted of a number of young luminaries of the time: trumpeters such as Freddie Hubbard and Benny Bailey, saxophonists such as Sahib Shihab. The program included evergreens like Summertime and compositions like Stolen Moments that were to become such. The mood on stage was relaxed, if only because the orchestra was hailed in Europe as a groundbreaking big band. 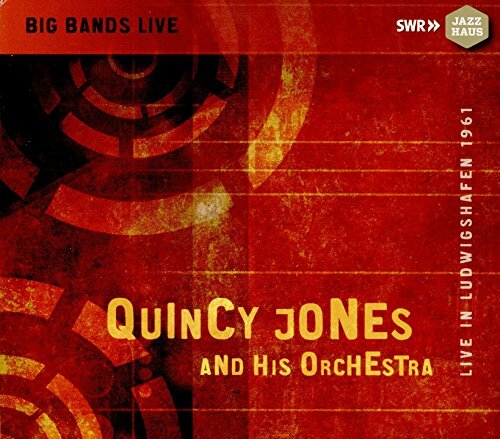 There are experts who believe that this short phase was for Quincy Jones his best as a jazz musician. The Ludwigshafen Experience only lends support to this judgement.